Meet: 7:30PM the last Tuesday of each month (excluding Dec. and Jan.) at Harley Davidson of Winnipeg, 1377 Niakawa Road East. The “Dieppe” Unit is centered on Winnipeg, MB and encompasses Winnipeg, Shilo and Brandon Manitoba. It’s Rider’s are strong supporters of local charities as well as the many veteran riders, still serving riders and Veteran Supporters throughout the province and into the Lake of the Woods area. All Canadian riding club with chapters nation wide. All makes of motorcycles are welcome and members family can attend most events. Long rides planned and short rides every Thursday evening & Sundays. A non for profit organization aimed at promoting the use, restoration and interest in older motorcycles and those of historic interest. 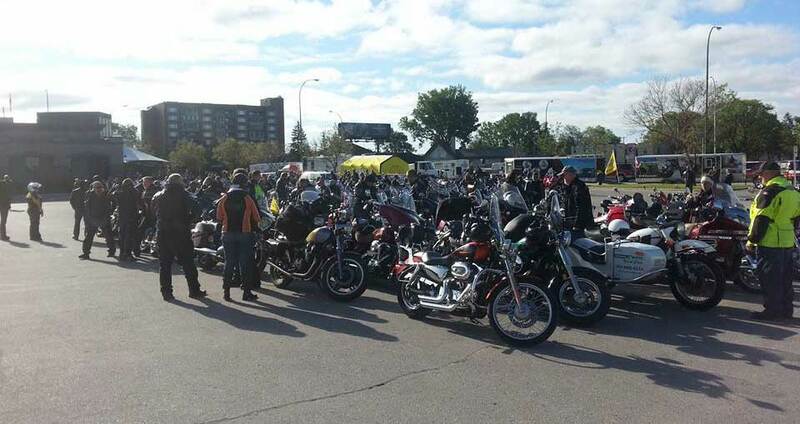 (c/o Harley Davidson Winnipeg) Weather permitting, we have a group ride Thursday evenings and Sundays. Everyone is welcome you do not have to be a Chapter member. Thursday rides leave at 7 pm and usually includes a stop for dinner. Sunday rides leave from different locations. Call the Winnipeg Chapter Ride & Info Line @ 989-3900 for up-to-date information and meeting times/locations. c/o Gaslight Harley Davidson (Morden) Meetings on the 3rd Thursday of every month. Ride every Sunday – meeting at The OUTPOST GRILL – Co-op Gas Station @ Highway 3 & 14 at 9a.m. If you own a Yamaha “Star” motorcycle you should become a member – membership is free! Open to all makes and models.The TMA has club rides from May to September every Tuesday night. Rides are from 100 to 200 Kms. long. Also special rides about once a month on Saturdays or Sundays are from 200 to 400 Kms. long. based out Southern Manitoba with members from Morden, Winkler and the surrounding area. Focusing on the riding and restoration of bikes from the 70s and 80s. Primarily that of The Japanese Big Four. That being said it’s not a requirement to own one to join. Membership is free. Meet the 2nd Monday of every month at the Marion Hotel at 7:30 pm.